Hand sewing is an art form that is over 20,000 years old. The first sewing needles were made of bones or animal horns and the first thread was made of animal sinew. Iron needles were invented in the 14th century. The first eyed needles appeared in the 15th century. The first possible patent connected to mechanical sewing was a 1755 British patent issued to German, Charles Weisenthal. Weisenthal was issued a patent for a needle that was designed for a machine, however, the patent did not describe the rest of the machine if one existed. The English inventor and cabinet maker, Thomas Saint was issued the first patent for a complete machine for sewing in 1790. It is not known if Saint actually built a working prototype of his invention. The patent describes an awl that punched a hole in leather and passed a needle through the hole. A later reproduction of Saint’s invention based on his patent drawings did not work. In 1804, a French patent was granted to Thomas Stone and James Henderson for “a machine that emulated hand sewing.” That same year a patent was granted to Scott John Duncan for an “embroidery machine with multiple needles.” Both inventions failed and were soon forgotten by the public. In 1818, the first American sewing machine was invented by John Adams Doge and John Knowles. Their machine failed to sew any useful amount of fabric before malfunctioning. 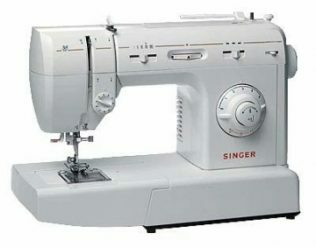 Sewing machines did not go into mass production until the 1850’s, when Isaac Singer built the first commercially successful machine. 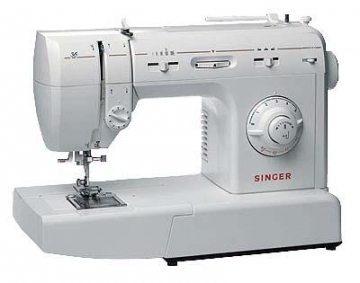 Singer built the first sewing machine where the needle moved up and down rather than the side-to-side and the needle was powered by a foot treadle. Previous machines were all hand-cranked. However, Isaac Singer’s machine used the same lockstitch that Howe had patented. Elias Howe sued Isaac Singer for patent infringement and won in 1854. Walter Hunt’s sewing machine also used a lockstitch with two spools of thread and an eye-pointed needle; however, the courts upheld Howe’s patent since Hunt had abandoned his patent. If Hunt had patented his invention, Elias Howe would have lost his case and Isaac Singer would have won. Since he lost, Isaac Singer had to pay Elias Howe patent royalties. Nowadays sewing is still quite popular. Not as many clothes would be made by parents or grandparents as they did during 1900s. Sewing machines have improved greatly and have become electric. Instead of manually move the needle up and down, when the foot pedal is pressed, electricity runs through the machine and lifts the needle up and down for us. It is like turning on a switch on the wall for light instead of lighting candles. 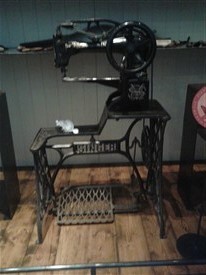 To this this, Singer sewing machines would be the most popular, following closely by Brother and Kenmore. These three brands make up 70% of the worlds sewing machines. We have come a long way since 1755 or even 1943 and I found it fascinating to see how much sewing machines have changed throughout the eras. 1. Have you ever used or seen this object? 2. When was the first time you did? 3. How do you think the object has changed? 4. How do you feel about said changes? 5. Did you own this object growing up or was it only rarely owned/used? 6. What was the purpose of this object? 7. Do you find the modern equivalent useful? 8. Has the modified object become more or less popular than the original do you think?